“Ad nauseum” pretty much sums up comedian Jim Gaffigan’s style. The famously pale comic has built an incredible career firing out an endless stream of one-liners about the most ordinary aspects of American life. Best known for his bits about American junk food, he can tell joke after joke on just about any food product imaginable. He’ll even remark about how many jokes he’s just told about that food, and then proceed to tell 10 more. 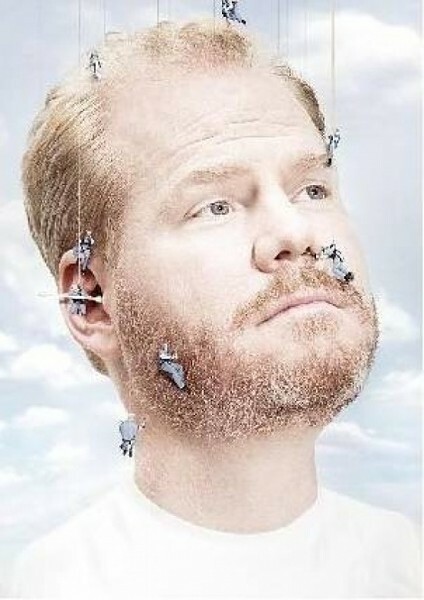 This obsession with the benign is one of the reasons Gaffigan calls himself “the most middleof-the-road comic I know.” Every joke may come from an obvious idea, but his ability to convey it in such an odd manner—often using a highpitched voice and painful facial expressions as part of the punch line—takes the jokes to a whole new level of funny. He’ll have a room absolutely rolling with laughter, and yet there he stands, looking out with an almost irritated expression, as if he’s the only one who’s not in on the joke. One of Gaffigan’s most notable and beloved gimicks is his “annoyed spectator” voice. Between jokes at random moments, Gaffigan goes into an awkward whisper where he channels an upset audience member, saying things like, “Oh, he’s going to hell,” and, “I’m offended on so many levels.” It kills every time. Gaffigan’s humor truly has a way of getting into your head. As childish as some of his topics may seem, don’t be surprised if you find yourself lying awake at night, repeatedly singing the “Hot Pockets” jingle.